SketchfacesDC artists draw caricatures in and around Columbia Heights! Guests are entertained AND get a one-of-kind party favor to remember the event! Click on the “request a quote” link to start the booking process. 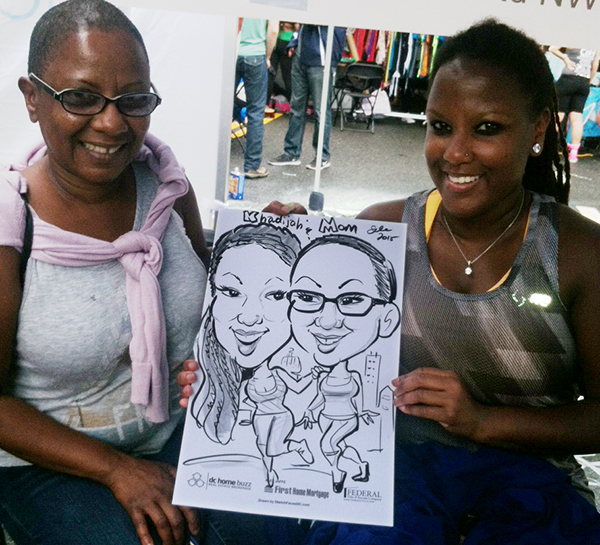 The fine folks at DC Home Buzz had Laura and Mark draw live caricatures at the Columbia Heights Street Festival in Washington DC yesterday. 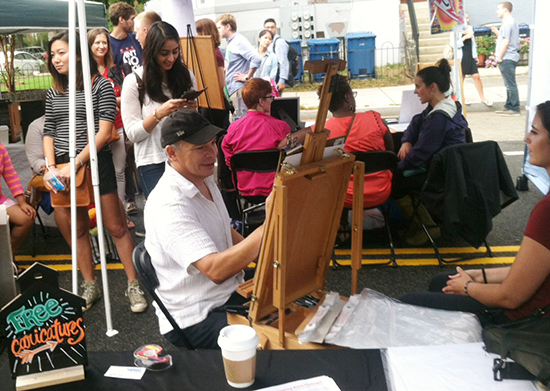 Mark drawing at the festival with a line of people behind him waiting to get their caricature!